Major makes it to Half a Century! Major turned the big 5-0 on 20th of May. We started the day with French toast breakfast and coffee--his favorite! 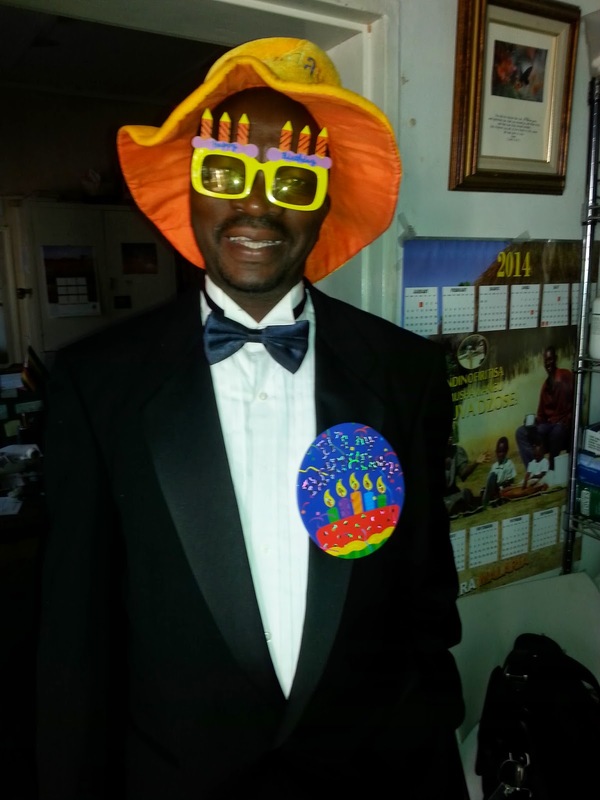 He dressed in his tuxedo and we made him wear our traditional Birthday hat and sunglasses for work all day! In the evening we had dinner--his favorite meatloaf and a cake with a lot of light! What to do with a leaking pipe! 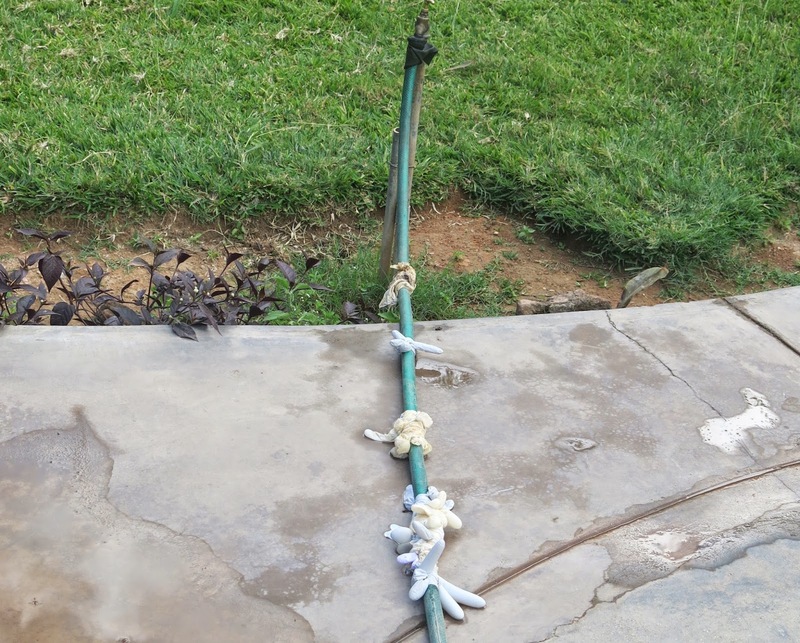 The yard people at the hospital asked Mr. Mereki for a new hosepipe--he said fix the one we have. This is how you fix it at a mission hospital in Zimbabwe! I am glad we have gloves to use for something!